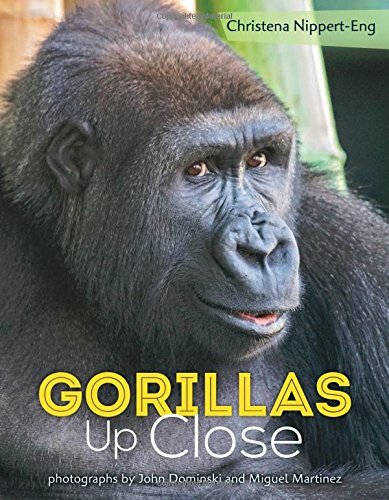 Booktalk: Explore the differences between gorillas in zoos and in the wild with the gorilla family troop in Chicago’s Lincoln Park Zoo. Delight in the similarities gorillas share with humans while finding out more about these incredible animals. Snippet: Gorillas. What’s not to love? They’re smart, funny, busy, and hairy–from incredibly cute to seriously scary. They’re knuckle walkers. Vegetarians, too. Who knew you could become that strong just by eating your veggies? 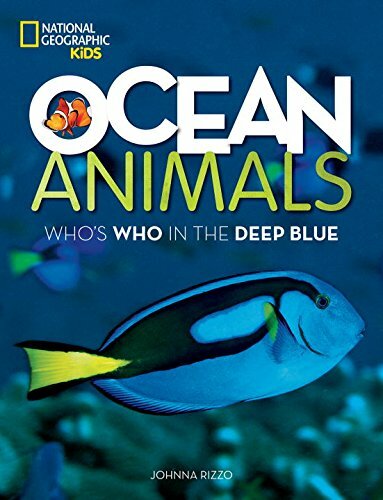 Ocean animals: Who’s Who in the Deep Blue? This is a book that you’ll want to dive right into – filled with photos of exotic and not-so-exotic ocean life. There are photos of polar bears and pelicans, penguins and puffins. You’ll get to know marine iguanas, dolphins and whales, come face to face with octopuses and sharks. You’ll be introduced to some hard-core crustaceans and jumbo jellyfish, plus lots of coral reef dwellers. There’s an introduction to the oceans of the world (can you name all five?) and a section about ocean habitats. And there’s a handy list of 20 things everyone can do to protect the oceans, from cleaning up a beach to changing how you get around. Bicycling and walking help reduce the amount of car oil and other chemicals that get into waterways and eventually make their way into the oceans. Head over to Archimedes Notebook for more about ocean life and the Pristine Seas program. 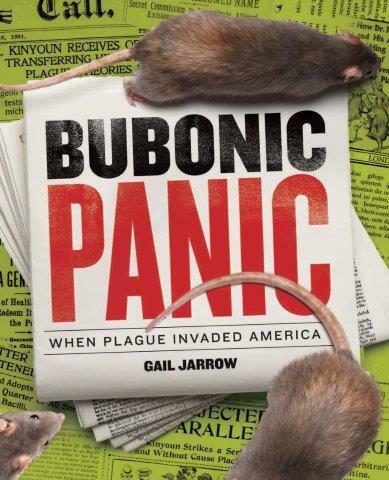 Bubonic plague went by many names: The Pestilence; the Great Mortality; Black Death; and The Plague. It was marked with high fever, headaches, weakness, achiness, chills – sometimes nausea and diarrhea. Corpses piled high. Nobody knew who – or what- the killer was. Doctors tried their usual remedies, from bleeding with leeches (1600s) to sterilizing victim’s homes – or burning them (1800s). By the 1894 outbreak in Hong Kong, doctors thought it might be germs, and they began looking for the culprit. Sure enough, it was a bacteria. People living in rat-infested buildings got sick. But people who handled rats that were dead longer than a day didn’t catch this disease. Could it be fleas, wondered scientists? And – in a world where ships traveled across the globe – how could health officials keep infected rats, fleas, and people from introducing plague into the local population? Head over to Sally’s Bookshelf for a Book Giveaway and an interview with the author. 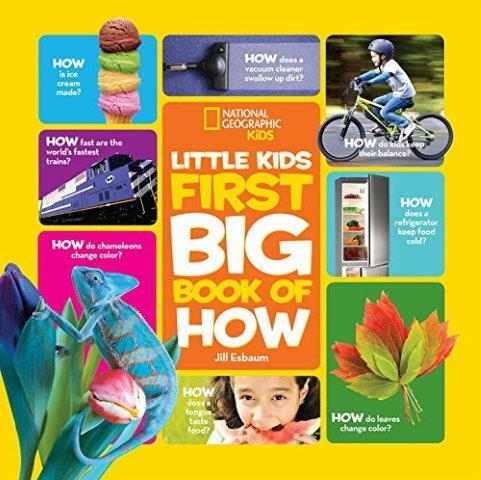 This book lives up to its name: it has a little bit of everything in it written in small sections in language kids will understand. Want to know how ice cream is made or how microwave ovens work? It’s in there. Want to know about bicycle gears? It’s in there. Want to learn the best way to make bread moldy? It’s in there too. The section I like best is the one about animals because – there are OCEAN animals in there! Jellyfish. Octopuses. Humpback whales. Jellyfish have long, soft tentacles – but beware! They have venom and can shoot that so fast you don’t even know you’ve been stung until it’s already happened. Octopuses are amazing creatures: they have no bones and can squeeze anywhere, and have three hearts. Also, they squirt ink when they’re startled or afraid. There’s a couple photographs to show where the ink comes out, and what it looks like. And did you know that the smallest octopus can sit on a penny? The section about humpback whales focuses on how they communicate with each other. They sing. They make bloop-bloop sounds. They groan and moan. They even slap their tails on the surface of the water. All those sounds must mean something – but what? There’s a table of contents listing topics by group: around the home, human body, animals, and more. There’s also an index to aid in searches for specific topics. Each section ends with a game and throughout the book there are lots of hands-on investigations. There’s even a page of “parent tips” with additional activities – including a recipe for ice cream. Review copy provided by publisher. 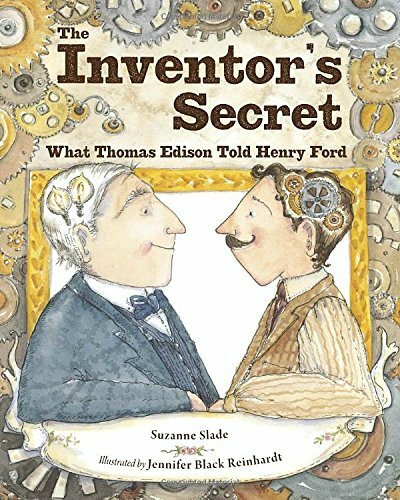 Thomas Edison and Henry Ford started off as insatiably curious tinkerers. That curiosity led them to become inventors–with very different results. As Edison invented hit after commercial hit, gaining fame and fortune, Henry struggled to make a single invention (an affordable car) work. Witnessing Thomas’s glorious career from afar, a frustrated Henry wondered about the secret to his success. Thomas fired off question after question. Henry happily answered each one. Blue eyes sparkling, Thomas leaned in close to Henry. He banged his fist on the table. “Keep at it!” he shouted. He’d known Thomas’s secret all along! And what did Thomas say? Keep at it!” he shouted. The moment of enlightenment has just occurred. Act 2 of the story has just ended. It’s time for Act 3 to begin! Are you ready to write your picture book? Work with a developmental editor. Sharks and dolphins live in the ocean. Their bodies are shaped like torpedoes, and they both have fins and flippers. But there is one huge difference between them: sharks are fish, and dolphins are mammals. 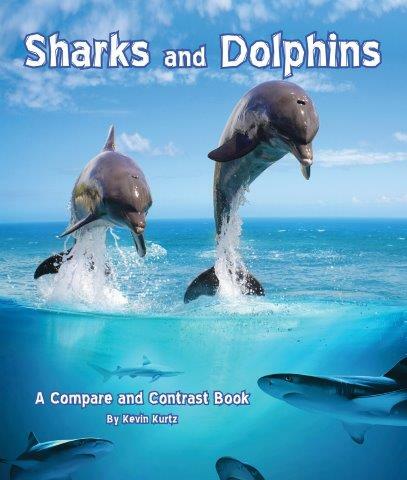 In simple, easy-to-read language the author shows how sharks are like other fish and how dolphins are similar to other mammals. And he shows the diversity of sharks and dolphins. Back matter includes a Venn diagram, word scramble, and additional information about sharks and dolphins. Splash! A dolphin dives into the water and glides beneath the waves. Using photos and words, the author takes you into the world of a dolphin. Meet the family. Go to school. Whistle hello. Then it’s chow time – but way down in the dark ocean, how do dolphins find their lunch? 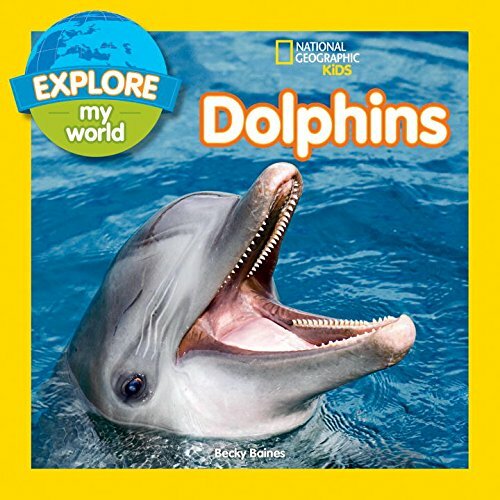 There’s a great section that shows how dolphin babies grow, learn, and play. Then it’s time for sleep. There are 43 different species of dolphins, and there’s no way this slim book can discuss all of them. But at the back is a page filled with photos of a few of the species of dolphins you might see.